Our clients can walk with a confidence many other commercial property owners cannot. 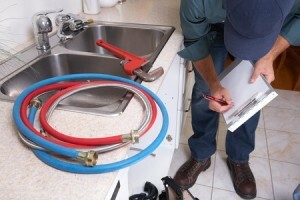 This is because our clients know they have a plumber on their side who can handle anything! We are a full-service commercial plumber who not only have the skill and training you need for your business to run smoothly but also the transparent honesty you deserve. Know who you are working with every step of the way with our Fort Pierce and Port St. Lucie, Fl commercial plumbing repair services at KRK Enterprises, Inc.
Our integrity is one of our most valuable assets – right next to “experienced” and “determined.” We keep every plumbing technician in our crew fully certified and trained in the latest methods, with the advantage of the most dependable technology developed in the industry. This way we complete every job promptly and correctly the first time. Commercial plumbing projects can range from quick fixes or basic maintenance to an entire overhaul and replacement of your drain / pipe system. Regardless of how extensive your project is or may be, calling KRK is the best choice! We can quickly and efficiently evaluate the plumbing issue you are facing on in your business or on your commercial property and tell you precisely what plumbing solution is the best and most reasonably-priced route for you. At KRK, we never include hidden fees or leave any charged services unexplained. We also will not proceed with an expensive service without your signing off on it first – so that you aren’t surprised or blindsided by any exorbitant costs.